What do princesses and ballerinas have in common? Style, grace and courage. 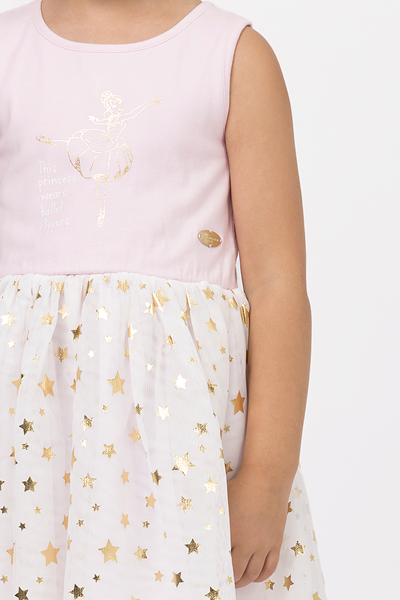 In soft pinks, ivories and golds, each piece bearing a delicate gold charm with The Australian Ballet brand, this collection evokes the dreams of the aspiring ballerina and the fairytale worlds they step into on stage. 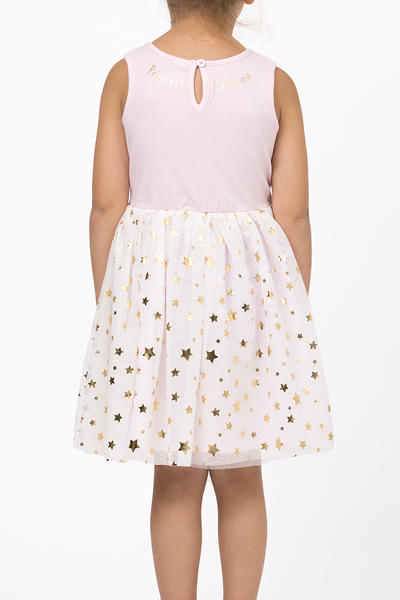 Every tiny dancer needs to practice her twirling and this princess ballerina dress will be perfect for just that. 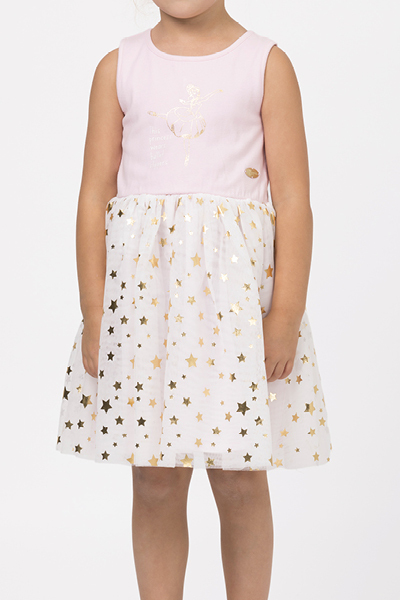 With gold stars and a keyhole back, it's bound to be a favourite. Materials: 98% cotton 5% elastane jersey 180gsm cotton voile lining 65gsm. Gold metallic print with iridescent white resin-coated glitter. Two x layers of 100% polyester mesh with metallic foil-print detail. Satin sew-in label.